Marvel Studios’ long-gestating Phase Three feature Black Panther, which recently signed Joe Robert Cole for scripting duties and saw its release date moved up from July 2018 to February of that year, so far has had a mighty difficult time locking down the perfect director. Ava DuVernay (Selma) was first offered the gig over the summer, but she took a pass, as did F. Gary Gray (Straight Outta Compton), who signed on to direct Furious 8 for Universal instead. Marvel seems determined to secure the services of a first-rate filmmaker, and according to a new rumor it appears that they may have found a new front-runner in Ryan Coogler. Coogler, who made a name for himself in the film industry with his critically acclaimed Sundance Film Festival Grand Jury Prize and Audience Award winner Fruitvale Station, is currently in post-production on his Rocky spin-off Creed, which opens later next month. Although he is at the top of Marvel’s wishlist for Black Panther, his involvement in the project is still in the rumor stage. 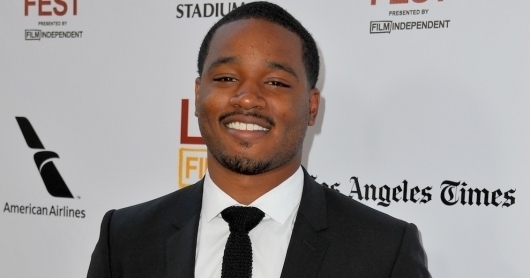 We might be able to take as an encouraging sign the fact that Coogler does not yet have a Creed follow-up planned. At one point he was reportedly being courted by Warner Bros. to direct their DC feature Cyborg. T’Challa is a brilliant tactician, strategist, scientist, tracker and a master of all forms of unarmed combat whose unique hybrid fighting style incorporates acrobatics and aspects of animal mimicry. T’Challa being a royal descendent of a warrior race is also a master of armed combat, able to use a variety of weapons but prefers unarmed combat. He is a master planner who always thinks several steps ahead and will go to extreme measures to achieve his goals and protect the kingdom of Wakanda. Chadwick Boseman signed on to play the title role last year and will be making his first appearance in next May’s Captain America: Civil War. Black Panther is currently scheduled to open in theaters on February 16, 2018.